Travel with Kevin and Ruth! : Would you visit Kazakhstan? Do you even know where it is?? We receive quite a few emails from our readers, but I was surprised to open an email from a reader who lives in Kazakhstan and invited us to visit. I had actually forgotten about this until I saw a news article the other day regarding tourist visas to Kazakhstan, which have been historically very difficult to obtain. Kazakhstan has initiated a one year program geared towards increasing tourism. So it figured out who it's ten largest trading partners are, and offered them visa-free entry for 15 days between July 15, 2014 and July 15, 2015. We could still visit, but we would still have to jump through the hoops to get a visa, and pay the associated fees. One of the very few countries in the world where Canadians need a visa and Americans don't! My email contact says that the people are friendly towards foreigners and that there is a lot to see and do near his home city of Almaty. He says his family lives about 40 minutes outside of the city. So I looked up the city of Almaty. You would think it would be expensive to get to a place like this, and typically it is. But since this visa free deal came out, the airfare sales have come out too. 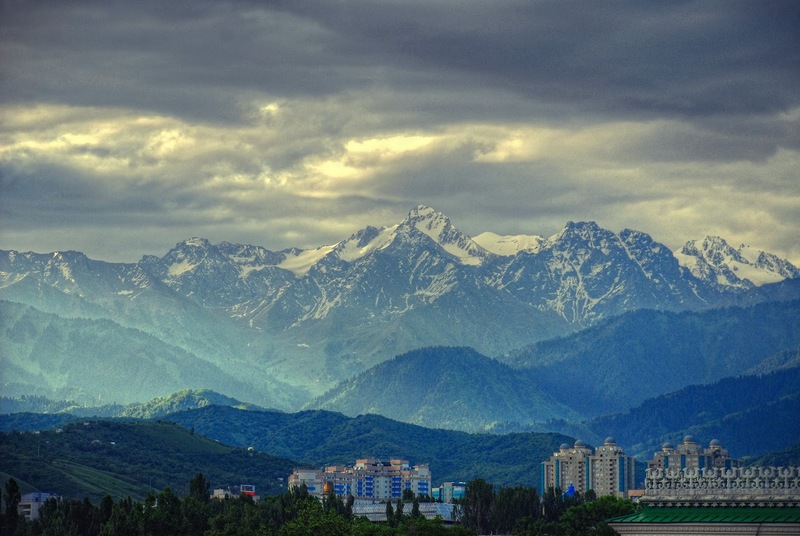 This morning, I see a return trip from Washington to Almaty on Delta for only $796 taxes included! Unfortunately, I can't see us going there in the near future. I even looked up to see what a ticket costs from Seoul when we're there, but it's pretty expensive and it doesn't make sense. Oh well, we'll just add it to the list! Our Amazon.com deal of the day? How about a pet ID tag for your dog or cat. Very interesting! The bucket list will continue to get longer and longer! We know that feeling, and what a wonderful feeling it is! So long as a country has a stable government I would not hesitate to visit it. Also there must be an embassy present that represents my country. Looks like it would be an interesting place, but probably not for us. I am sure that you aren't the only one George, but I know that it is somewhere that we would love to explore. You know, Kevin, I'd love to go there. When I was in my MBA program a group of three of us had to do a business plan for our International Business class. We decided to drop a pin on the World map and figure out some business to create for that Country. The pin fell on Turkmenistan (next door to Kazakhstan) and our investigation found that the tribal rugs from that part of the World are beautiful. There was actually a student in our university from Turkmenistan who gave us a very small rug to use as a sample. Well, long story short we made wonderful contacts in that country and actually could have started a (hopefully) lucrative business is we hadn't had so many other papers to develop so we could graduate. But, since then, I've always wanted to visit as I'd heard, and found out through that experience, that the people are wonderful. It's on the bucket list! What a nice story Mary-Pat, I hope that you are able to make it to Turkmenistan. That is somewhere else that we would love to go. PS: Gorgeous photo of Prague! Would you visit Kazakhstan ? My question would be why wouldn't you ???? I know that we would but I guess for some people it would be out of their comfort zone. I have heard of Kazakhstan and would definitely visit once I"m finished with the US if that ever happens. I'd have to wait until then to have the money to go. Glad to hear that you would go given the chance. The way that you two travel I think it will take you a LONG time before you are ever finished exploring the US and I mean that in a good way! Sounds like a good place to us! Now that we have toured the U.S. and Canada, anything goes. I think we want to go to Europe somewhere and then do a two year South America rv trip. Good for you guys! Can't wait to read your blog when you head to South American.